Wrecks are portals to the past and offer a unique window to a different kind of underwater world. While some ships like the Aguila were purposely sunk in an effort to create man-made reefs, and planes like the DC3 crash on the airport of Roatan sunk on purpose after the collapse On 18 March 1990, Others like Josie J were casualties of weather or man mistakes all of them are big part of the history of the underwater world from the bay islands diving you can see firs and the unique environment created by artificial reefs. The list of wrecks on The Bay islands is an extensive variation in sizes and depths from The Halliburton Shipwreck was purposefully sunk in the harbour of Utila in 1998 To ‘’the Jado Trader’’ was sunk in 1987 in Guanaja waters. The Bay Islands of Honduras have long been recognized for their spectacular wreck diving. One of the most pretty and pristine wrecks of the bay islands is located on Roatan ‘’the Prince Albert wreck’’, a 140 foot tanker, was intentionally sunk in 1985. Originally owned by Nicaraguans, the tanker was used to transport Nicaragua war refugees to Roatan, where it was eventually stripped of valuables and left partially submerged. Currently sitting upright in 65 feet of water, the tanker is in remarkably good shape. With many years of algae and soft coral growth covering its large hull, many fish species also call the cavernous channels and hollows of the tanker home. These wrecks are homes to great marine life and are proving to be outstanding artificial reefs. A wreck will serve as a habitat for many species, particularly fish fauna. Marine life is primarily attracted to wrecks because the animals find refuge in the nooks and crannies, and food on the surfaces on the structure and around it. 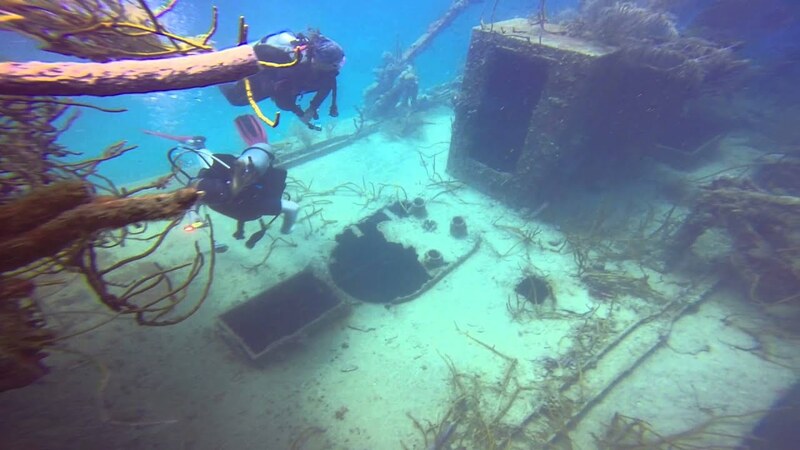 The increased marine life associated with wrecks, their aviation and maritime history, as well as the many associated parts and machinery that are not normally closely observable on working airplanes or floating vessels, makes the structures very attractive to divers. Furthermore, wrecks often have an exciting or tragic history, and present a different challenge to the diver. The Prince Albert wreck, the 140′ tanker sitting upright in 65 feet of water. Odyssey wreck, Roatan’s biggest planned wreck is a 300-foot freighter called Odyssey. Resting on sand in 110 feet of water. The ship is massive, 300 feet from bow to stern, 50 feet wide and 85 feet tall. The Donna M, This 85 foot long shrimp boat now rests on a sandy bottom in 80 feet of water. The Jado Trader, This 260 foot long freighter in 105 feet of water. The Mystery Wreck, also known as No Name Wreck, is a steel hulled vessel about 90 feet in length depth of 42 feet. Don’t forget the island’s pirate and colonial conflict past, the possibility of much older wrecks is quite intriguing both for marine archaeologists and for treasure hunters.